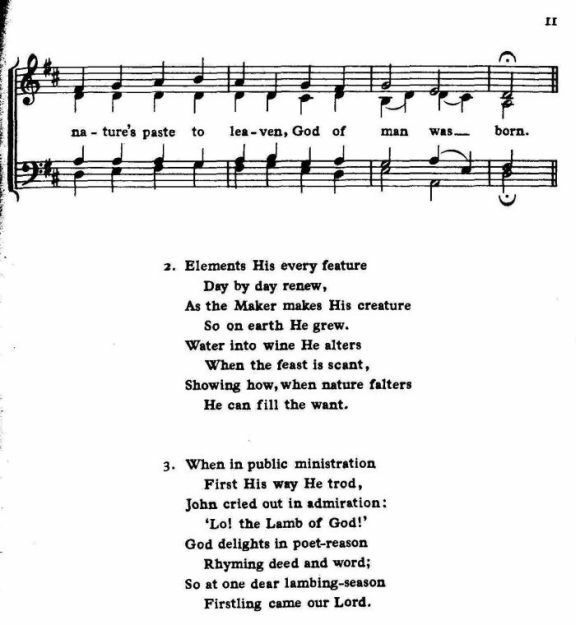 Source: Richard Runciman Terry, Two Hundred Folk Carols (London: Burns Oates & Washbourne Limited, 1933), Carol #72, pp. 10-11. God of man was born. So on earth He grew. He can fill the want. 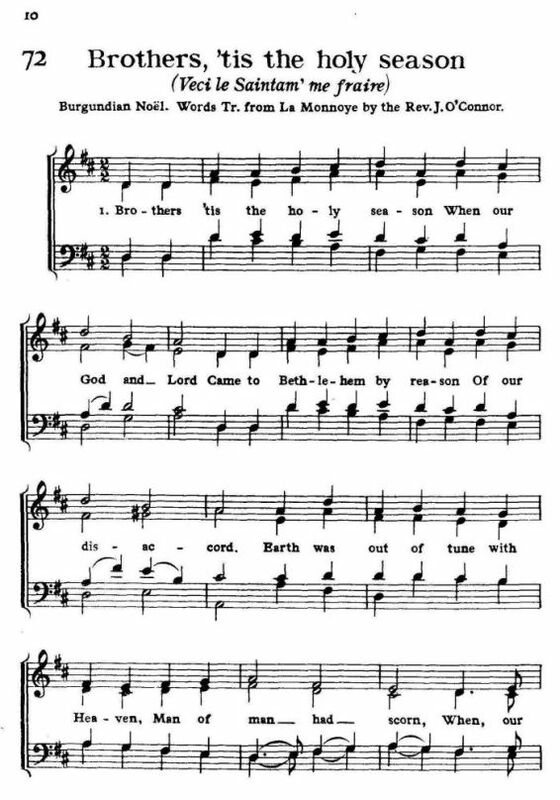 Sheet Music from Richard Runciman Terry, Two Hundred Folk Carols (London: Burns Oates & Washbourne Limited, 1933), Carol #72, pp. 10-11.